A Nigerian lady who recently met her school mate who is now Keke rider (tricycle rider), took to Twitter to share her experience. According to Nigerian lady, she fought with her school mate while still in school and the scar she left him with gave him away. 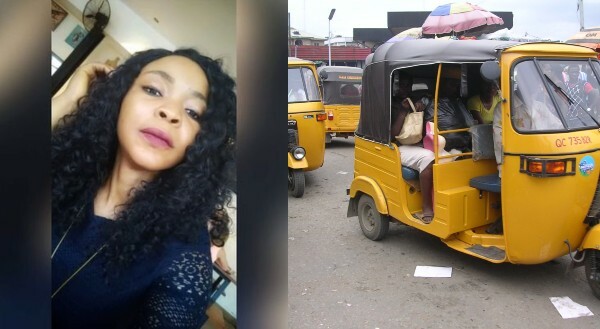 However she added that the man was shy, because he turned out to become a Keke Rider. 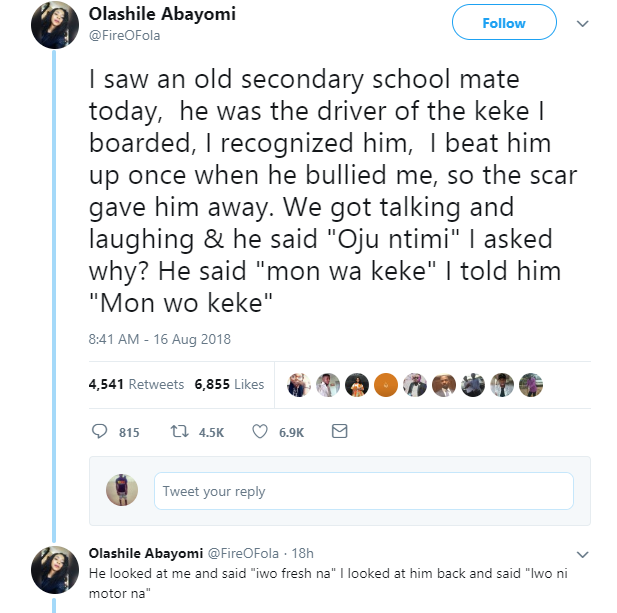 I saw an old secondary school mate today, he was the driver of the keke I boarded, I recognized him, I beat him up once when he bullied me, so the scar gave him away. We got talking and laughing & he said "Oju ntimi" I asked why? He said "mon wa keke" I told him "Mon wo keke"
He looked at me and said "iwo fresh na" I looked at him back and said "Iwo ni motor na" Then he smiled.. We exchanged numbers.. I took him for lunch, asked how much he would have made within that time I've interrupted his job for lunch and he told me.. 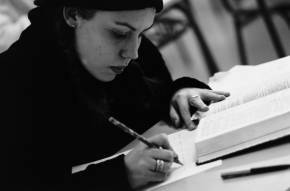 Even if you know you are probably richer than someone, don't rub it in, make them feel better in their situation.. That is the highlight of my day.. I am fulfilled.. I don't beat up people, I beat up bullies... And that was years ago.. You people.. Sigh!